A Diamond Select Toys release! The battle for the loose change of Gotham City has begun! 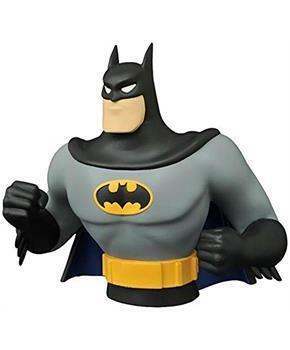 This approximately 8" vinyl bust of Batman, as he appears in Batman: The Animated Series, is actually a bank, with a coin slot in the back and an access door in the base. But it features detailed sculpting and exacting paint details that make it look like a high-end collectible! With Batman, Robin, The Joker, Harley Quinn and the Batmobile now available as vinyl banks (each sold separately), there's never been a safer place in Gotham City to keep your money! Packaged in a clear polybag. 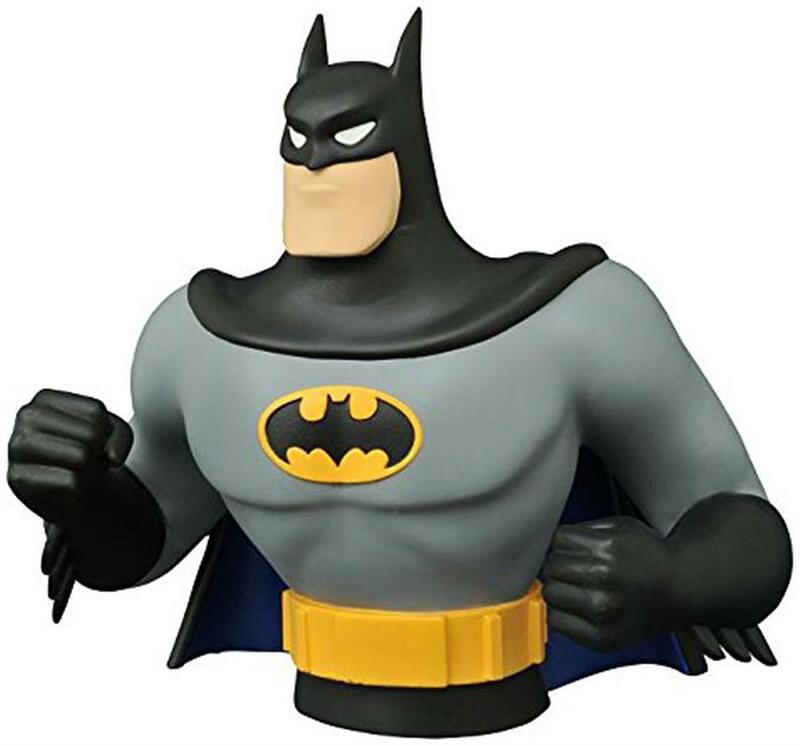 This vinyl bust of Batman, as he appears in Batman: The Animated Series, is actually a bank, with a coin slot in the back and an access door in the base! Bust stands approximately 8-inches tall. Vinyl bust bank features detailed sculpting and exacting paint details that make it look like a high-end collectible! A Diamond Select Toys release! Packaged in a clear polybag.